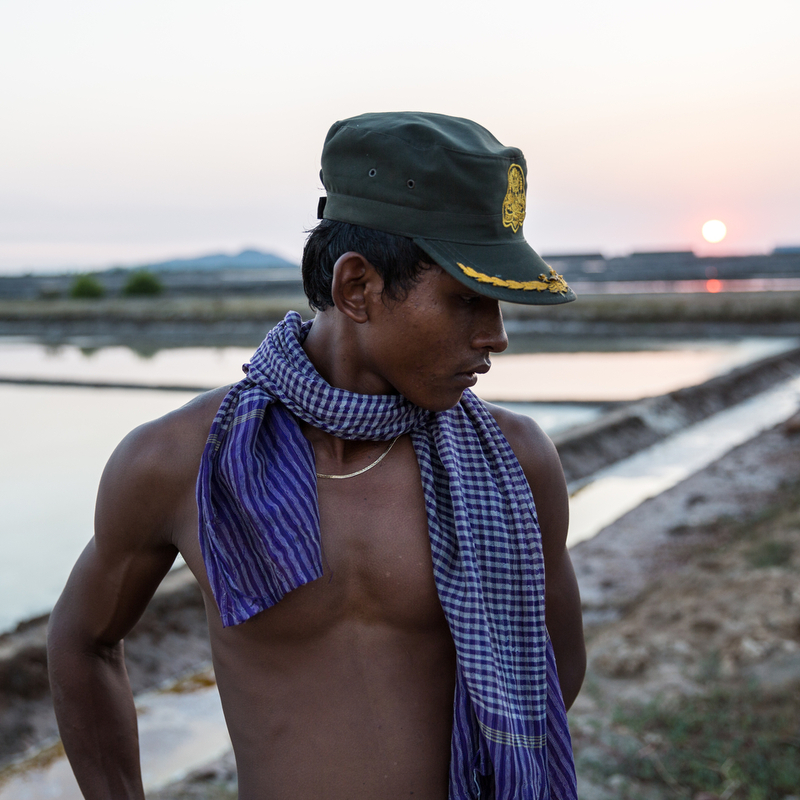 In the early mornings after a night with no rain, salt field workers head to work. 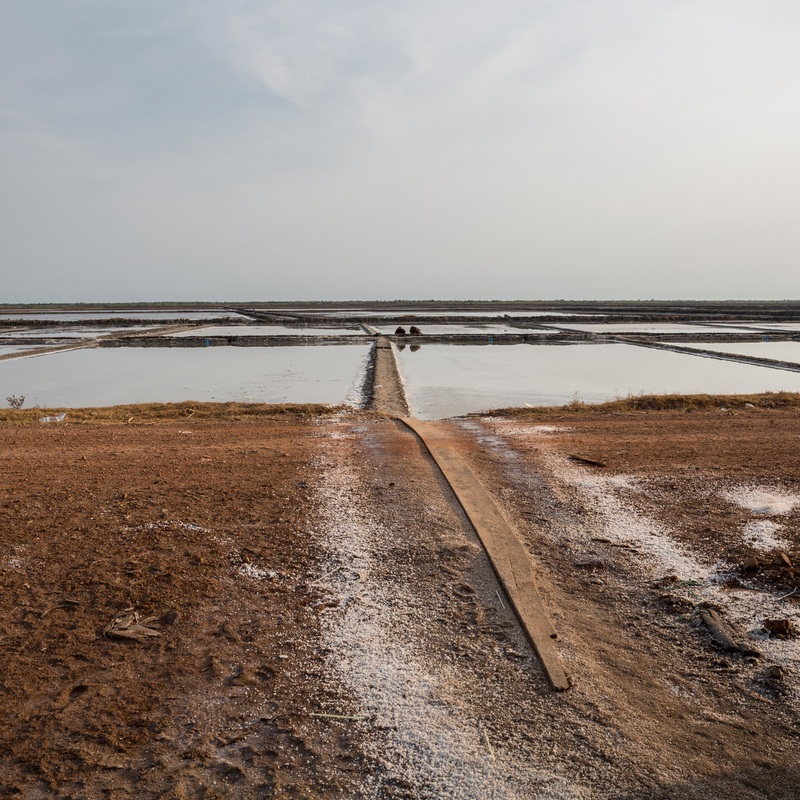 It is only during the few months of the dry season that salt can be harvested. If the rain comes, the water in the fields does not have the time to evaporate and the salt cannot be collected. 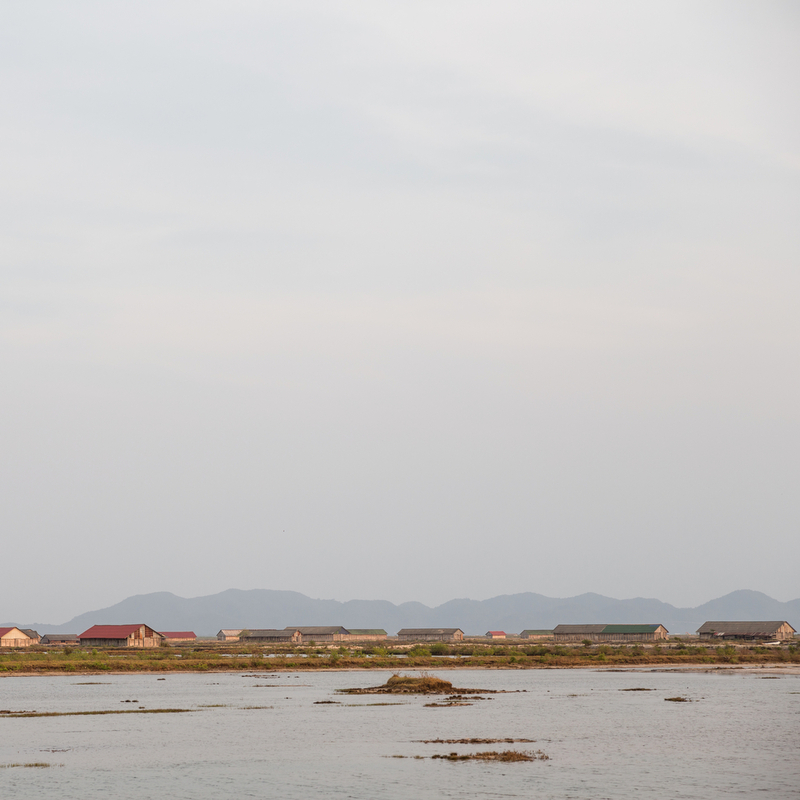 Chum Kreal commune is part of three districts in Kampot province, where salt fields can be found, and the only areas in Cambodia to harvest the mineral. 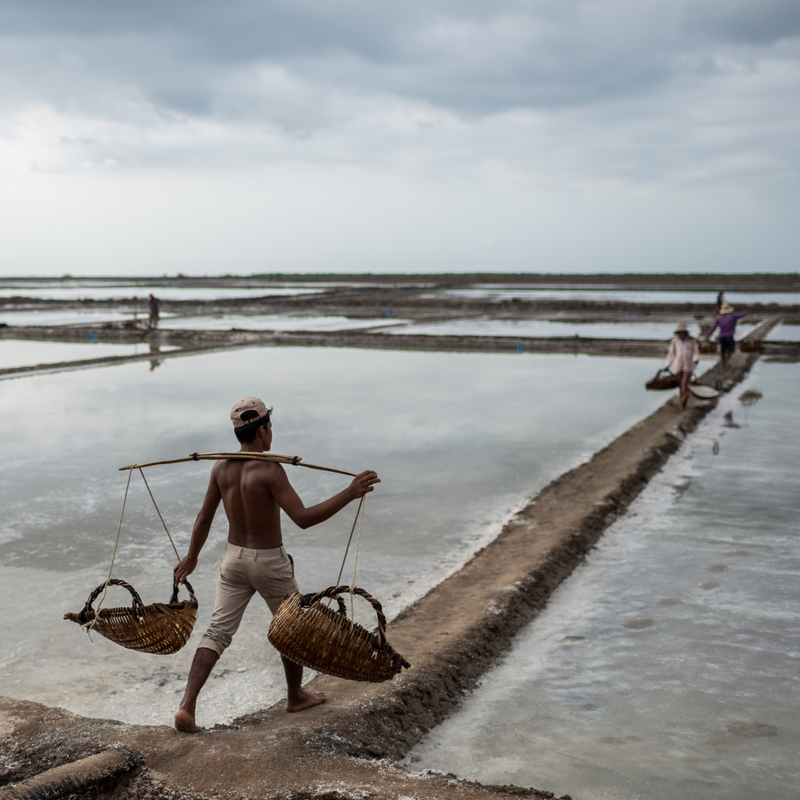 The production process starts off with a controlled release of sea water, which spills into bare flatten fields, through an intricate maze of canals and pumps. 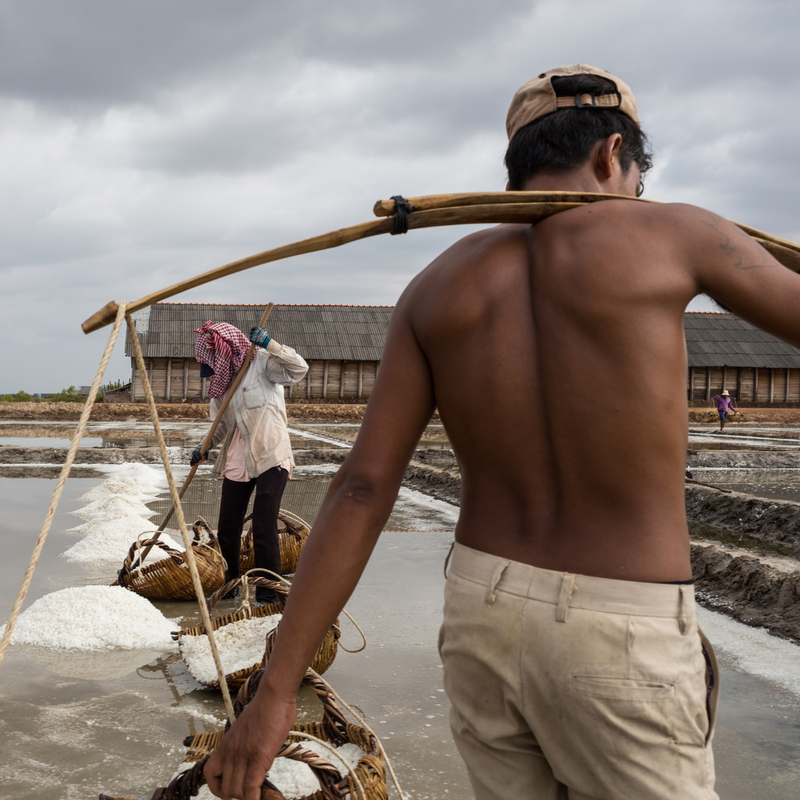 As the water evaporates and the fields dry up, salt crystals is what is left behind and workers pile them into small mounds. 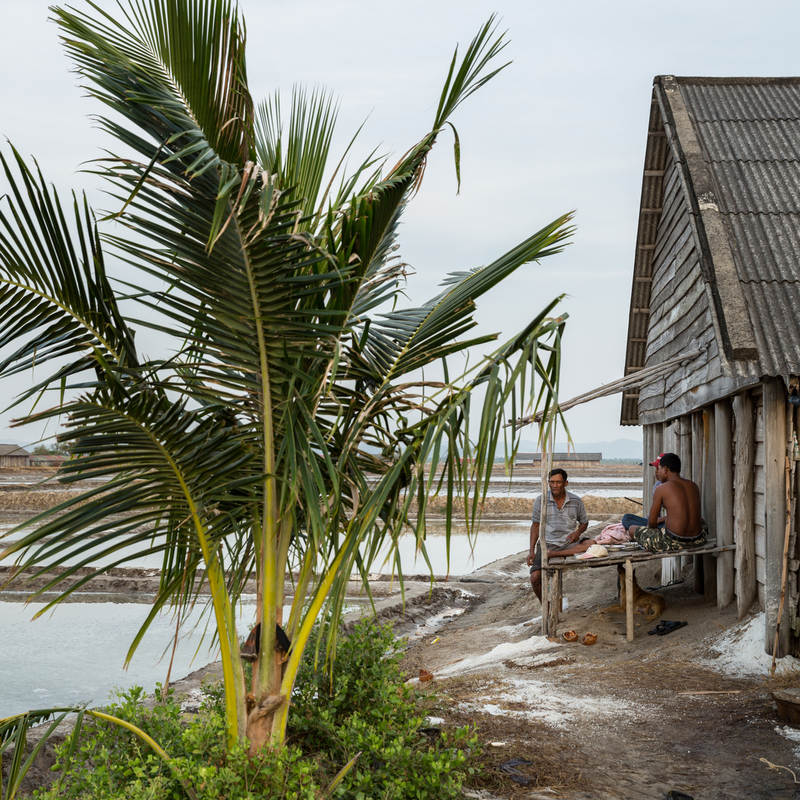 Although every worker has a different technique and rhythm when collecting the salt, the the job remains the same: load the rattan baskets with salt, carry them to the shed, unload and start again. Some will work in teams of two or three with one person loading the baskets while the others carry them, but most work alone. 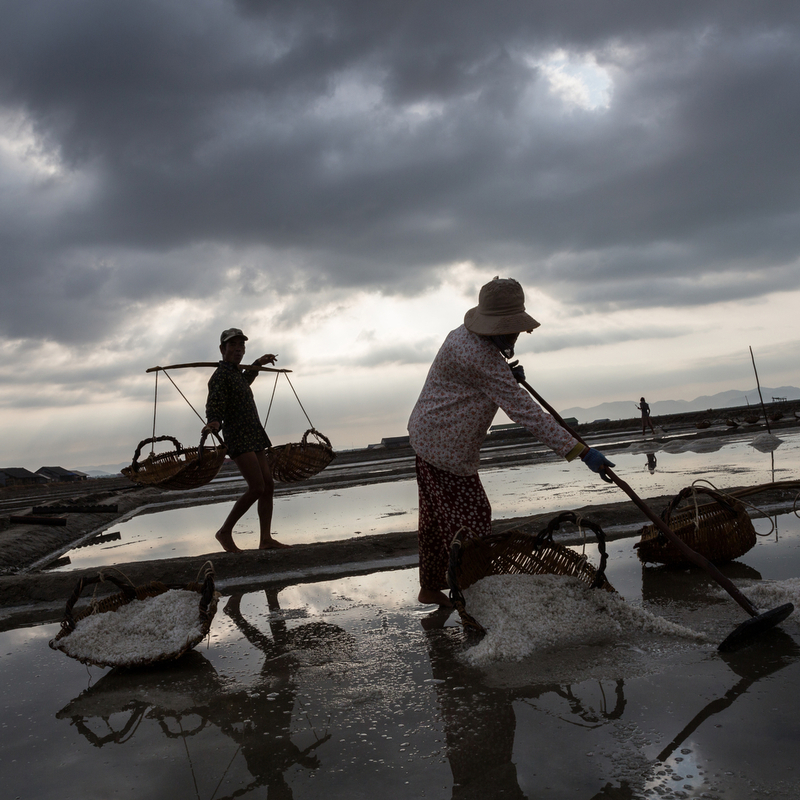 Kampot province produces salt for the local market - a total of 80,000 tons of salt per year from more then 3 million hectares of land is distributed around the country. What is A River's Tail?